Why is it bothering me so much? 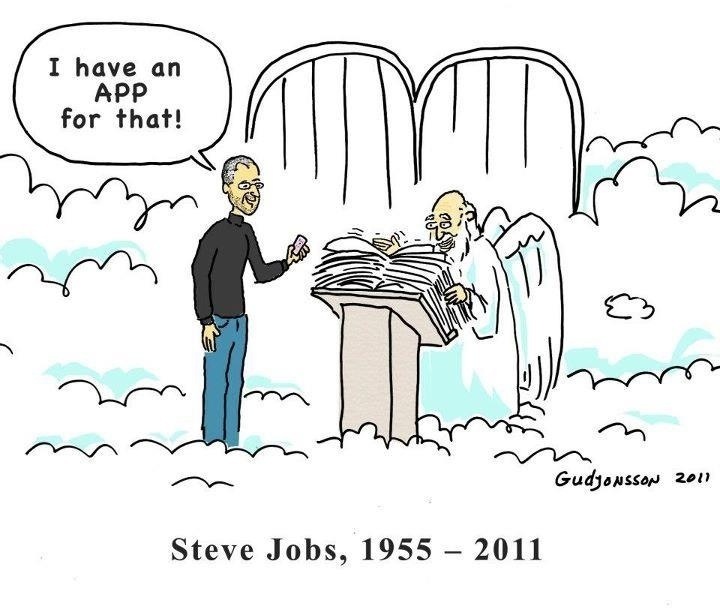 I heard about Apple CEO Steve Jobs’ passing while I was on my iPhone. How ironic. His life was claimed by pancreatic cancer and that hit me like a freight train. True, there have been other celebrity types that have passed away from cancer since I was diagnosed, but none have affected me like this one in particular. I think it’s affected me because I looked up to Steve Jobs and his genius. A college dropout, he started a company from scratch, built it up, and got fired only to be re-hired when it started to flounder. He gave Apple a much needed face-lift. Steve Jobs knew what we wanted before WE even knew what we wanted. And don’t even get me started with his little project, Pixar. He fought pancreatic cancer for eight long years and it showed on his face and body. All the while though, his innovative mind never took a break. Since 2003, the year he was diagnosed, Apple has continued to produce new and innovative gadgets and kept consumers on the edge of their seats for what’s next. I saw a video last night of a college commencement speech he gave in 2004 that really humanized him. He was not just Steve Jobs, Apple bigshot. He was Steve Jobs, a dreamer, a loving husband and father, a true family man. He spoke of the intense love he had for his wife and how he truly loved his job. He urged the graduates to find something they love to do and not to live their lives in regret. He told them how he had been diagnosed with pancreatic cancer the year before but that doctors told him he would be ok since he’d had surgery to remove the tumor. That hit me like a ton of bricks. He was supposed to be ok.